Envy Walk in Tubs LLC is accredited with the Better Business Bureau, only uses the highest quality materials, so you can be assured that every walk-in tub will be immaculate. Each tub is assembled by hand so that it is flawless. Only one piece is used in the construction process and it has a solid stainless steel frame. It is constructed this way so that it is stronger and easier to install. Two other impressive features is the contoured seat which helps you to get up and down with ease and the ergonomic door handle which lets you open and close the door with ease. Envy Walk-in tubs have a chromotherapy feature that uses variable colors of light. Chromotherapy allows you to easily relax and is available on all Envy Jetted Walk-in Tubs. 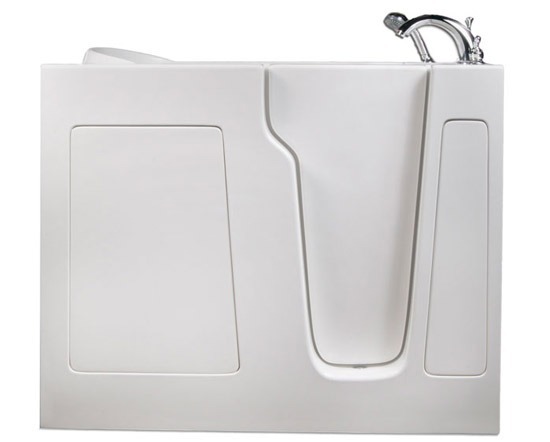 All Envy walk-in tubs come equipped with a no leak door lock and sealing system that provides a watertight seal. To assure safe access, there is also a low threshold. There are eighteen different walk-in bathtub models from Envy. The tubs are very theraputic because of the Air and Hydro Therapy Jet System. There are six hydrotherapy jets and twenty-one air jets to gently massage those tense areas. Some of the Envy Jetted Walk-in Tubs come with a bidet jet which ensures that you stay fresh and relaxed during your daily soak. Other features on these tubs are the safety grab bar and the deck mounted hand held shower that has enough hose so that you can comfortably sit while bathing. There is an inline heat system that allows you to stay in the tub as long as you like without the water getting cold. Isn’t that just wonderful? You can control the temperature along with the air and hydrotherapy (the jets) from the master touch pad control panel. Every Envy tub has a towel rack that is located on the outside of the entry door, so that you have a towel right there within your reach as soon as you get done bathing. The prices of the Envy Walk-in bathtubs range from $1,999.99 for the Envy Soaker Small Walk-in Tub up to $3,599.99 for the Envy Jetted Cove Walk-in Tub. Envy bathroom fixtures carry ten year warranties, which is a manufacturer’s warranty. It covers the mechanical and electrical assemblies. There is a lifetime warranty on the door seal. The warranty does not cover anything superficial. With walk-in bathtubs becoming increasingly more popular, choosing the right one can be very difficult. There is quite a wide variety of walk-in tubs available on the market today. 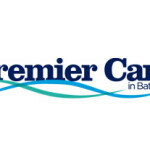 See clients testimonials , click here. If you buy your own, will be sure to be tested by experts before being mounted in your home. You can shop online at www.envywalkintubs.com or visit their facility which is located at 2340 W. Broadway Ste. 103 in Mesa, Arizona 85202. Being open from 7 am until midnight every day of the week, you can contact Envy at 1-888-848-3899. Check now the page how to get medicare pay walk in tubs.